Travelers Add Tours - Ship breaking Yard Tour Chittagong. If you are looking for an unique experience during your time in Bangladesh, a shipbreaking yard tour might be up your alley. The main highlight of the tour is a shipbreaking yard in Bangladesh. Along with this, you can also explore the recycling business in Bangladesh and visit Chittagong (the second biggest city in Bangladesh), Sonargaon and Panam Nagar etc. *Hotel pickup and drop-off included. *Led by a local guide. Day 01: Early in the morning (7am), you will begin the journey towards Chittagong from Dhaka. It will take almost 5 hours to reach the shipbreaking yard area. To make the journey as relaxing as possible, you will, first of all, explore the Golora Mosqum, a mosque that is a few centuries old, along with Panam City and Sonargaow folk and craft museum. Afterward, you will start driving towards the port city of Chittagong. At around 2pm, you will be reaching Vatiary, the area where almost 10 kilometers of the ship graveyard is scattered along the coastline. Depending on the tide, you will explore the shipbreaking area from Bay of Bengal using a lifeboat of a ship, converted into fishing boat. Due to restrictions, you will not go inside the yard on foot, but rather get closer to different ships from the coastal side and explore the different yards from a boat for about an hour or so. Please note that the shipbreaking yard does not have bathroom facilities. Afterward, you will be exploring ship junk yard and shops where you will find how one of the biggest recycling and reuse of waste materials are done. In addition to that, you will be taken to a beautiful site atop a nearby hill where you can have an excellent view of the sunset and have a cup of coffee while enjoying the sunset. You will then check into the hotel in Chittagong for an overnight stay (your own expense). 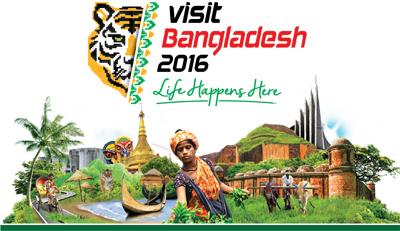 Day 02: You will start the Chittagong city tour at 9am and explore the in's and out's of the second biggest city of Bangladesh. The city of Chittagong has the biggest port in the country and has a rich history of the British period. You will explore the World War II cemetery along with number of British Establishments. Then, explore the tomb of Baijeed Bostami, a spiritual man and his turtles feeding. After lunch, you will start your return journey back to Dhaka. Depending on the traffic condition, you may discover Shalbon Vihara, the left-out of 1000 century old Buddhist Monastery, one of the most important archaeological sites of the country. You will reach your hotel or the airport in Dhaka at around 7pm, depending on traffic conditions. Hotel/Airport pickup and drop-off in Dhaka. All entrance and activity costs. Transportation by private air-conditioned vehicle. Local transportation/boat riding cost as per itinerary. Lunch and Dinner at a local restaurant with traditional food. Due to uneven surfaces and muddy areas this tour is not recommended for those with walking disabilities or using a wheelchair. Please note that the shipbreaking yard does not have bathroom facilities.